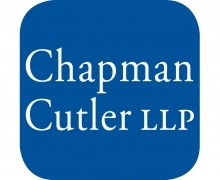 Chapman and Cutler attorneys have an extensive understanding of equipment loan and lease receivable securitizations. 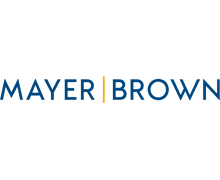 We have served as counsel for issuers, underwriters, investors, trustees, servicers, and banks on a wide variety of these transactions. Our deep experience in this area includes flexible warehousing transactions involving fixed- and floating-rate tranches, financing equipment residuals, transactions utilizing titling trusts, pass-through certificate transactions secured by leveraged lease debt, and securitization transactions funding lease portfolio acquisitions. 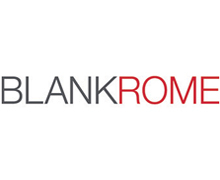 We are also an industry leader in the securitization of tax-exempt lease receivables. We have represented major domestic and foreign banks in connection with the development and ongoing operation of programs to issue pass-through trust certificates secured by tax-exempt lease receivables, combining asset securitization and tax-exempt derivative structures. BMO Capital Markets is a leading, full-service North American-based financial services provider offering corporate, institutional and government clients access to a complete range of products and services. These include equity and debt underwriting, corporate lending and project financing, merger and acquisitions advisory services, securitization, treasury management, market risk management, debt and equity research and institutional sales and trading. With 2,700 professionals in 33 locations around the world, including 19 offices in North America, BMO Capital Markets works proactively with clients to provide innovative and integrated financial solutions. 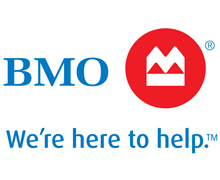 BMO Capital Markets is a member of BMO Financial Group (NYSE, TSX: BMO), one of the largest diversified financial services providers in North America with US$588 billion total assets and over 45,000 employees as at October 31, 2018. For more information, visit www.bmocm.com/. Capital One's Financial Institutions Group is dedicated to the lender finance market and works with a wide variety of non-bank financial institutions and asset managers. The team is focused on providing customized lending, advisory, and financing products and solutions—including asset securitization, recourse financing, and interest-rate hedging. 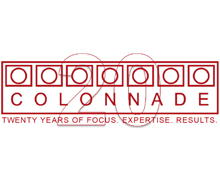 Colonnade provides expert, objective advice on mergers and acquisitions, private placements, valuation opinions and corporate finance issues for privately-held businesses, publicly-traded companies and financial sponsors. FOCUS. We have deep industry knowledge. By focusing on financial services and business services, we know the business models, valuation metrics, accounting issues and players in these sectors. We have served the owners of equipment finance and leasing firms, consumer finance firms and niche commercial finance firms. We know both the institutional investors/lenders, strategic buyers and financial sponsors that focus on these sectors. EXPERTISE. We have built our network of relationships and execution experience the hard way – deal by deal through the years at Wall Street firms and other leading financial services firms. Our extensive transaction experience has prepared us for objective and rigorous analysis coupled with creativity. RESULTS. We bring senior attention to middle market transactions. One of our senior partners will closely mange your transaction from start to finish. Your transaction shouldn’t be a training exercise – put our experience to work. DBRS is an independent, privately held, globally recognized credit ratings agency with offices in Toronto, New York, Chicago, London and Frankfurt. We strive to differentiate ourselves from competitors through a more pragmatic rather than mechanistic approach, in-depth research and unequalled mandate execution. Founded in 1976, we are a rapidly growing, international ratings agency with deep roots in Canada. Our four decades' experience and strong track record provide the foundation for us to seek out new opportunities and to make targeted investments that align with our core ratings operations. We do not seek to achieve scale in all markets, but when we choose to enter a new market, we strive to become a leading player known for trusted ratings, opinions and products. Our approach and our size as the world's fourth-largest ratings agency allow us to be nimble enough to respond to customers' needs in their local markets but large enough to provide the necessary expertise and resources they require. We build meaningful relationships, which contribute to a convincing value proposition for investors and issuers to choose us as a globally accepted alternative to other ratings agencies. KBRA is a global full service rating agency whose mission is to set a standard of excellence and integrity. Established in 2010, KBRA set forth an effort to restore trust in credit ratings by creating new standards for assessing risk and by offering accurate and transparent ratings. KBRA provides market participants with an alternative solution by delivering timely and in-depth research across various sectors. KBRA has over 275 employees and offices across the United States, located in New York, Pennsylvania, and Maryland, and has published over 9,000 ratings totaling $775 billion. KBRA Europe’s team in Dublin, Ireland looks forward to providing the same standard of excellence and integrity in European credit ratings. KBRA strives to provide the investment community with the products and tools needed to make informed investment decisions. 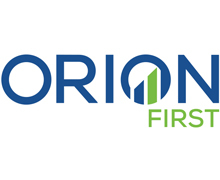 Orion First is the leading full service commercial loan and lease portfolio servicer providing a suite of services and products to manage the complete life cycle of a borrower. Orion has built a serving platform that includes systems to support lease and loan accounting, credit application processing, scoring and decisioning products, and collections management. These systems enable us to deliver an exceptional borrower experience to the customers of major bank-owned and independent finance companies. At Orion, our goal is to empower clients to focus on growing originations while we manage the details, mitigate risk, and maximize portfolio performance. 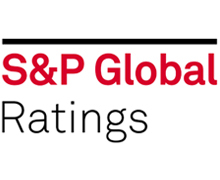 In business for over 150 years, S&P Global Ratings, a division of S&P Global Inc. (NYSE: SPGI), is a leading provider of credit ratings. Our ratings are essential to driving growth, providing transparency and helping educate market participants so they can make decisions with confidence. 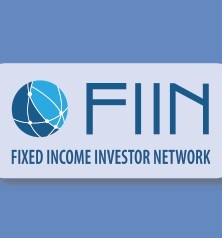 With more than 1.1 million credit ratings outstanding on government, corporate, financial sector and structured finance entities and securities, approximately 1,500 credit analysts and a presence in 28 countries, we offer a unique combination of global coverage and local insight. We provide our opinions and research about relative credit risk; market participants gain information to help support the growth of transparent, liquid debt markets worldwide. Learn more at spglobal.com/ratings. 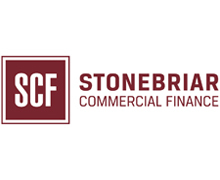 Stonebriar Commercial Finance is a privately held company that provides financing solutions to a wide variety of industries throughout the entire credit spectrum. 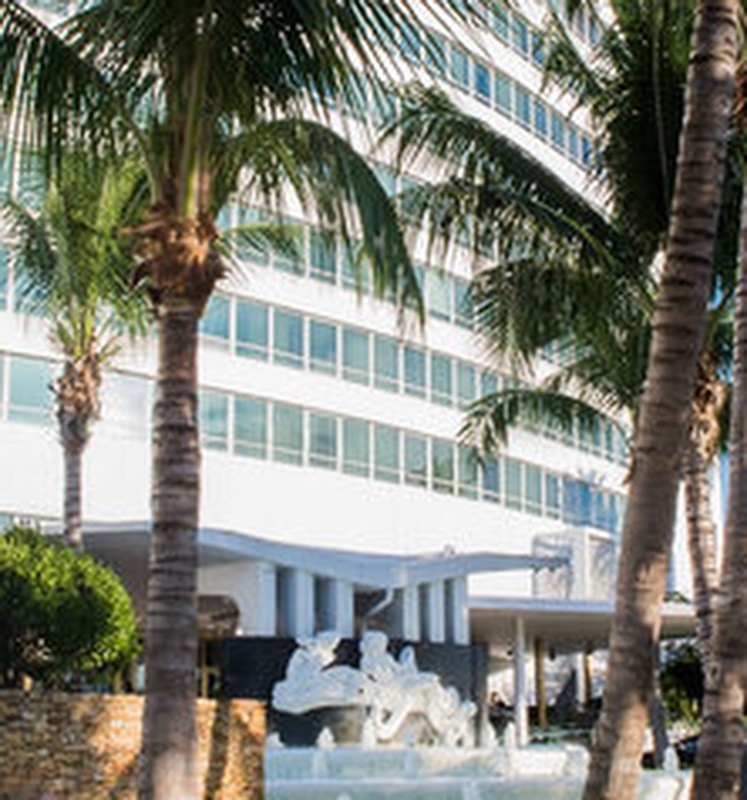 We offer transaction terms of three to more than thirty years and deal sizes of $5 million to more than $50 million. We consider all types of tangible assets and offer financing structures, which are tailored to the needs of our customers. SPOT FRESH OPPORTUNITIES IN SECURITIZATION Every week, Asset-Backed Alert steers subscribers to money-making deals in the global market for securitized consumer loans, home mortgages and corporate receivables. The newsletter also guarantees your edge in the growing CDO market. 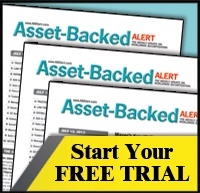 See for yourself by signing up for a three-issue FREE trial subscription to Asset-Backed Alert. To start your free trial, call 201-659-1700 or visit www.ABAlert.com. GlobalCapital is a leading news, opinion and data service for people and institutions using and working in the international capital markets. It provides you with clearly-voiced, lively coverage of key markets based on the comments of those who work in them, together with a wealth of transaction data and archive material. Whether you wish to pick up the pulse of your market, to research in detail an issuer, intermediary or asset class in a particular sector, or to check out how your institution is performing relative to its peers, our service is for you. 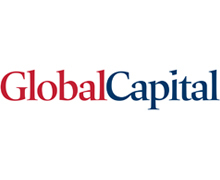 GlobalCapital descends directly from EuroWeek (“the voice of the markets”), which has been covering new issues in primary markets for 26 years. Joining the platform are also several key capital markets publications from the Euromoney Institutional Investor Group: Asiamoney, Total Securitization and Derivatives Week. GlobalCapital also sees the introduction of a brand new service on the internationalisation of the RMB. The combination of these elements on state-of-the-art new web technology provides a device-neutral, flexible global news and data service where relevant related articles and data are a click away. 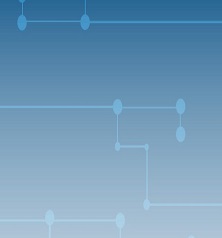 GlobalCapital.com delivers daily services dedicated to the following key market sectors: FIG/Bank Finance including Covered Bonds, Corporate Bonds, Syndicated Loans, Equity, Leveraged Finance, Sovereign and Supranational and Agency Bonds (SSA), SRI/Green Bonds, Global Emerging Markets, Securitization, Asia Pacific Markets, Derivatives, and Offshore RMB. The service comes with sector specific priced deals data sets, league tables, deal pipelines and people moves.